Dr. Leroy Chiao served as a NASA astronaut from 1990 to 2005. During his 15-year career, he flew four missions into space, three times on space shuttles and once as the co-pilot of a Russian Soyuz spacecraft to the International Space Station. On that flight, he served as the commander of Expedition 10, a six-and-a-half-month mission. Dr. Chiao has performed six spacewalks, in both U.S. and Russian spacesuits, and has logged nearly 230 days in space. You can read more of Chiao's Expert Voices Op-Eds and film reviews on his Space.com landing page. Chiao contributed this article to Space.com's Expert Voices: Op-Ed & Insights. Moon/Mars in the 1990s was not to be. However, in 1989, after I had applied to NASA, President George Bush proposed a new plan that would return Americans to the moon and then land astronauts on Mars by 2019, the 50th anniversary of Apollo 11. He intended to put the money up for it too, proposing an amazing 24 percent increase in NASA's budget. It was an exciting time. The following year, when NASA selected me as a member of Astronaut Group 13, I dared to think that I just might get to Mars, or maybe at least have a shot at the moon! It didn't work out that way. I had a very rich flying career and have absolutely no complaints, but mine didn't turn out to be the Mars Generation. President Bush was unable to get the political and financial commitments for his vision. In 2009, I was asked to be a member of the White House-appointed Review of U.S. Human Spaceflight Plans Committee. Led by aerospace legend Norm Augustine, our charter was to review then-current NASA plans and assemble options for the new administration, for a new space policy. We were trying to lay the groundwork for the Mars Generation and define high-level paths on how we might get there. Our central message was clear: In the first paragraphs of the report, we emphasized that it was essential to match goals with resources. So, it was with somewhat furrowed brow that I read President Obama's recent article on the state of the space program. Everything he wrote is factually true. And, when I go talk to young school children, I do tell them that maybe they will be the Mars Generation. But the difference is that I don't tell them that they are the Mars Generation today, as he did. The reason I don't is that since the early 1970s, we seem to always be about 20 years away from landing astronauts on Mars. The President reiterated that projection, writing that he set the goal to get there in the 2030s. 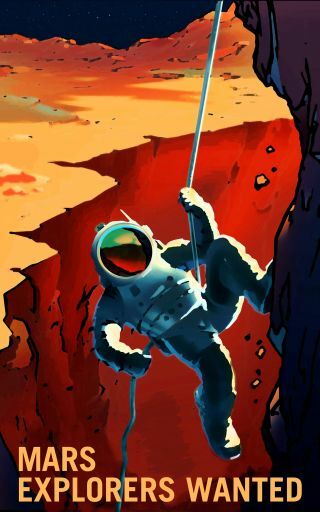 But an actual Mars program is missing; while it is true that NASA has received small increases in its budget and technological progress is being made, the funding and political resource commitments do not match the goal of landing humans on Mars in the 2030s. I enthusiastically agree with the President that our space program inspires the next generation, just like it did for our generation. And over the years, NASA has made progress and mounted spectacular missions, such as the New Horizons probe that flew by Pluto last year. But for us to get humans to Mars anywhere close to the 2030s, the next administration must plan and announce such a bold program, and make the necessary commitments to see it through. Otherwise, we will simply continue to kick the can down the road, as we have been doing for way too long. In that case, instead of today's hopefuls, the Mars Generation will continue to be the one that's about twenty years in the future.